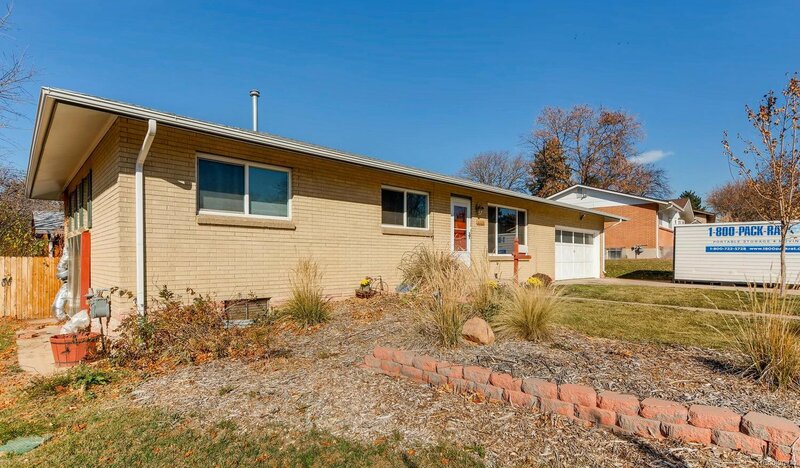 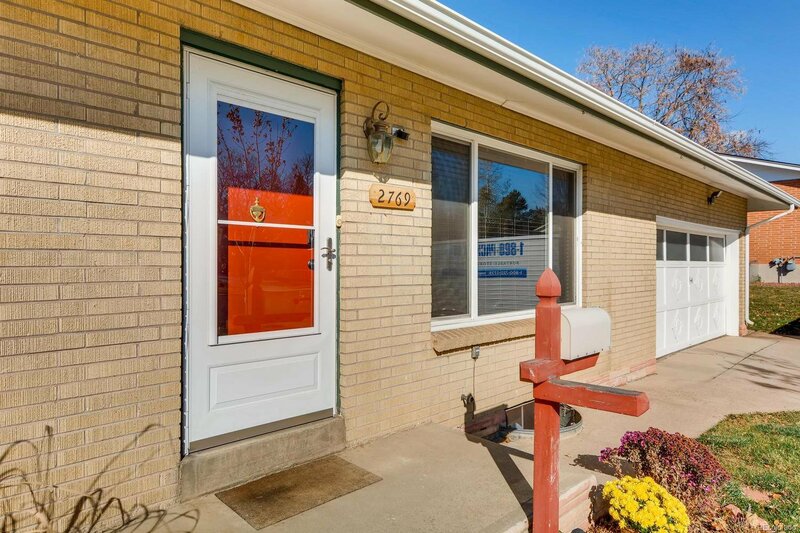 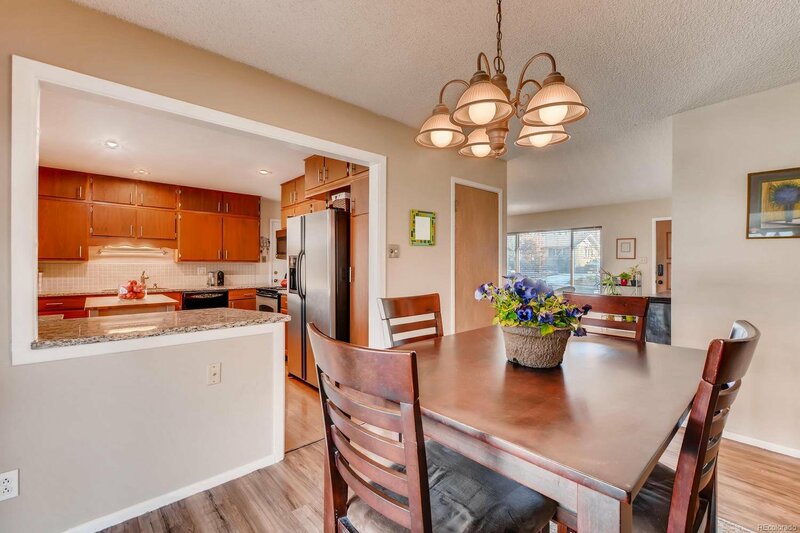 Wonderfully updated brick ranch home in the highly desirable Harvey Park South! 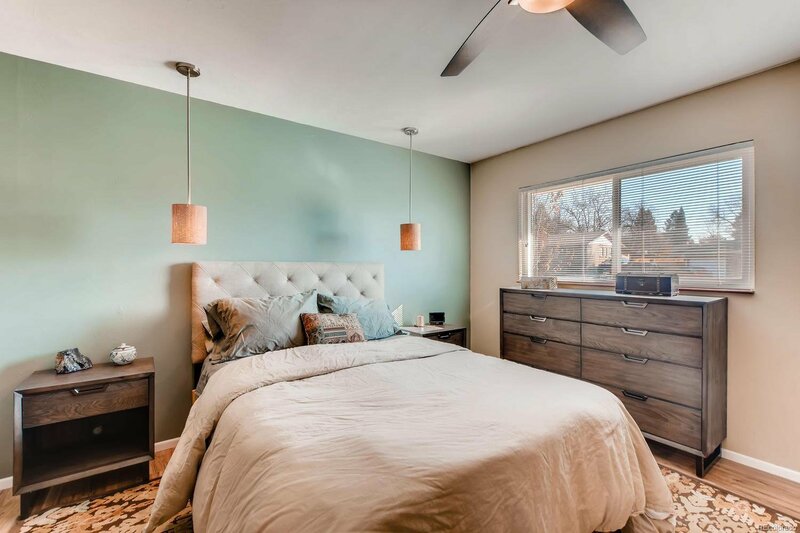 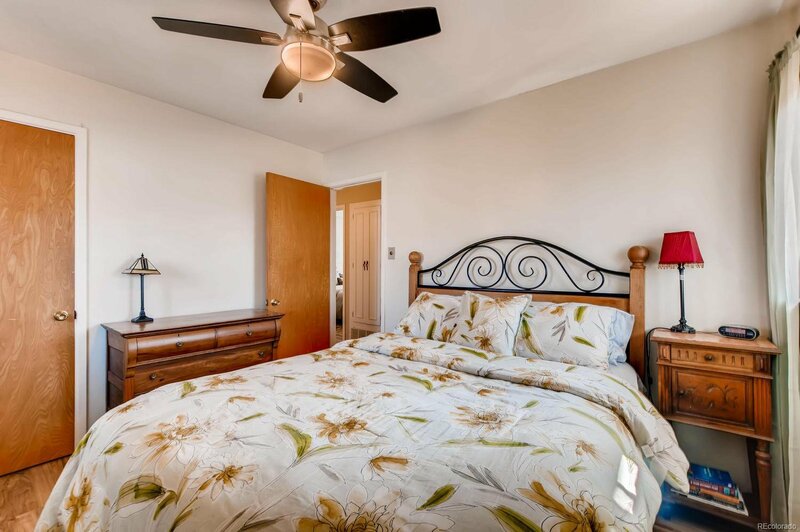 The oversized master suite is a must see. 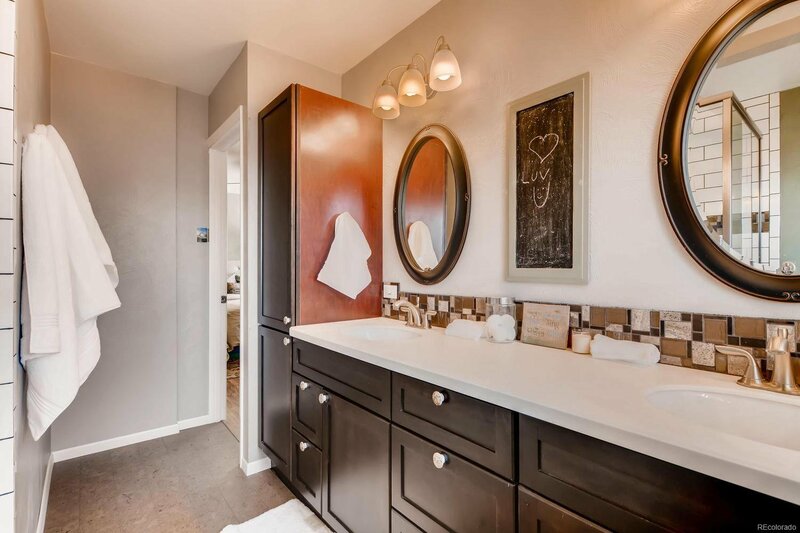 Pamper yourself in the remodeled master bathroom. 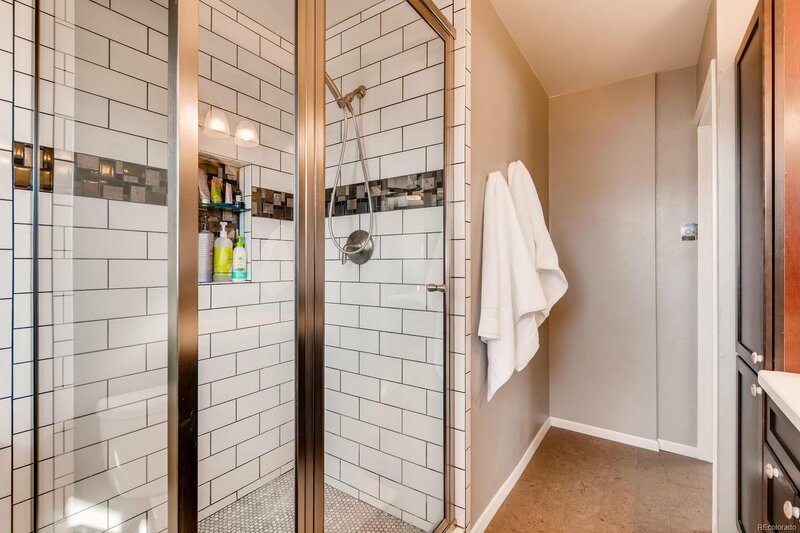 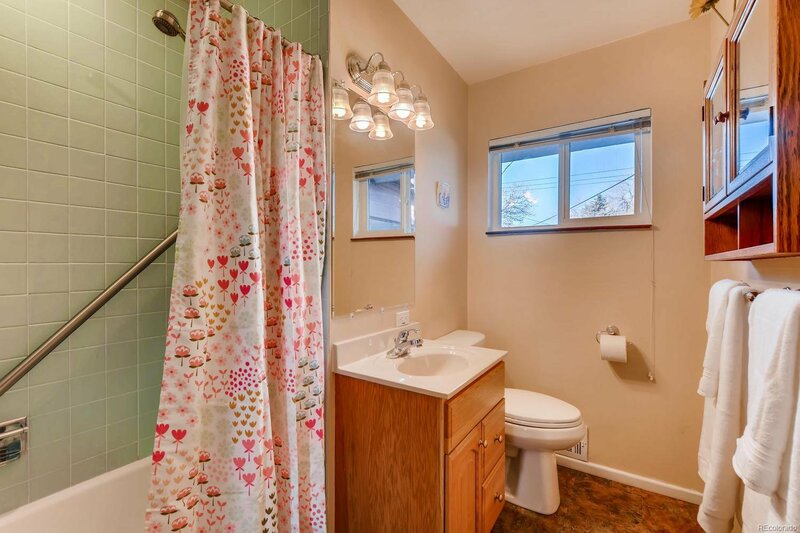 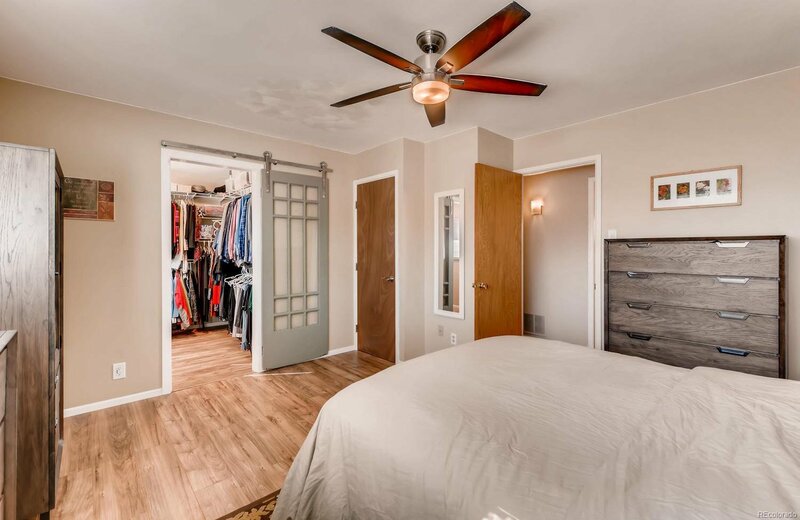 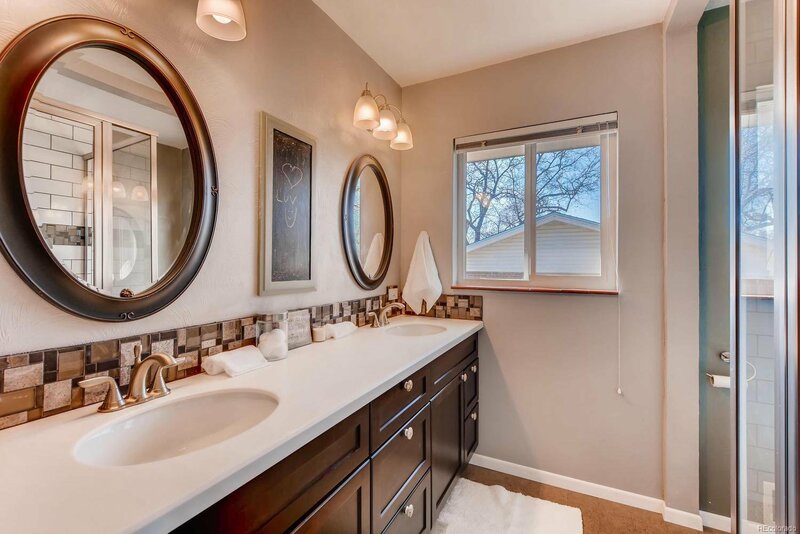 It features an exquisite glass shower with subway/accent tiles, sizable double vanity with room for all your stuff and huge walk-in closet with barn door. 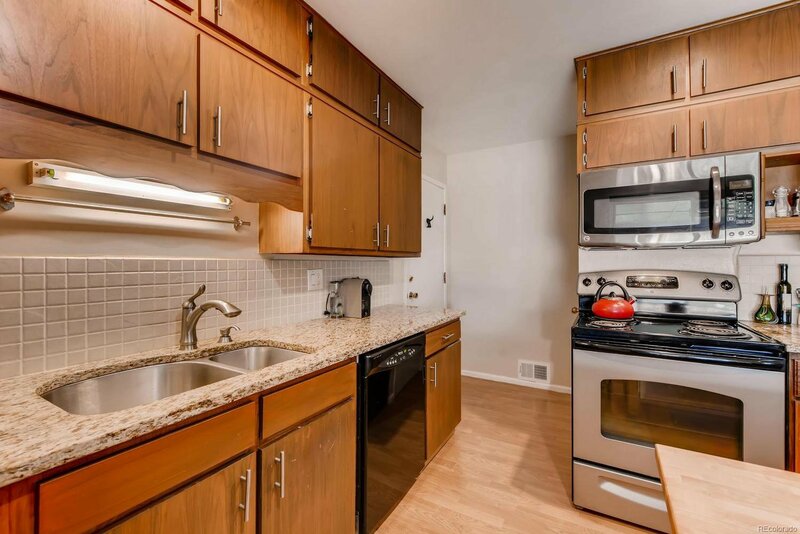 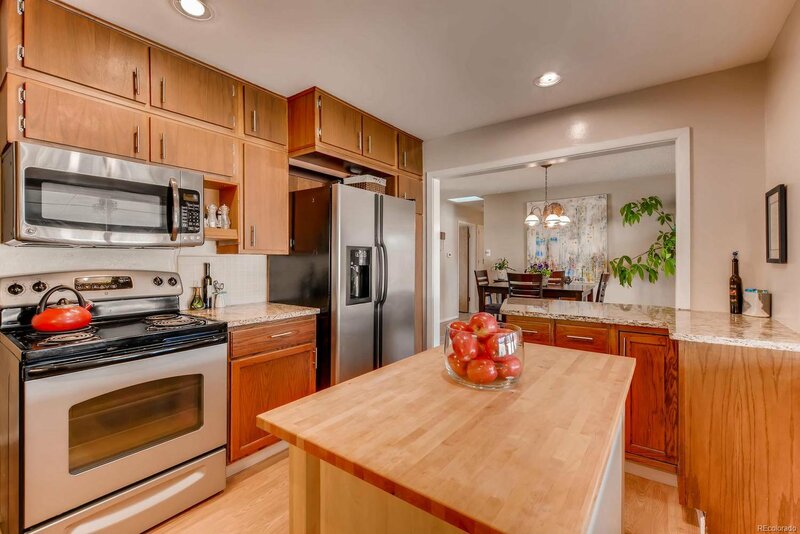 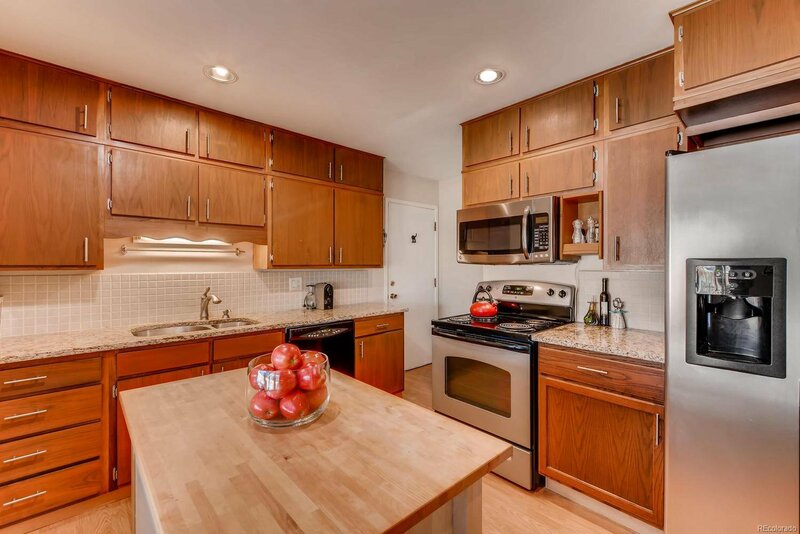 The open kitchen features granite countertops, ample cabinets, island and all the stainless steel appliances are included. 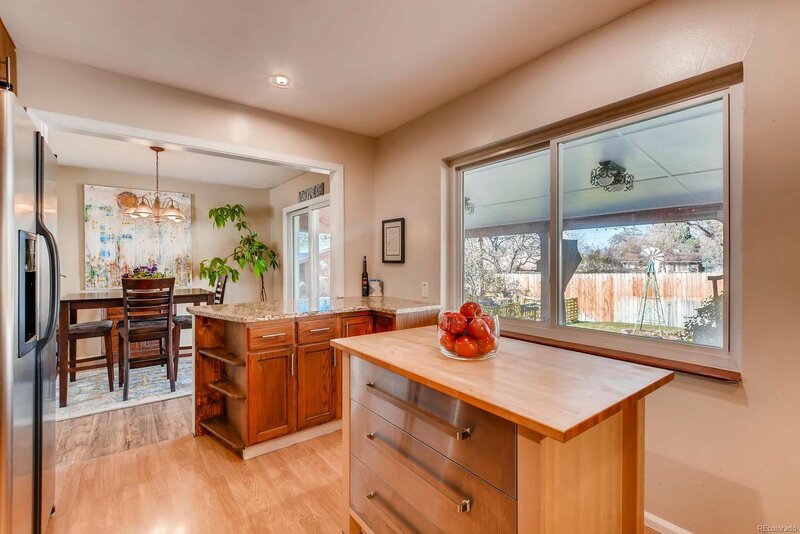 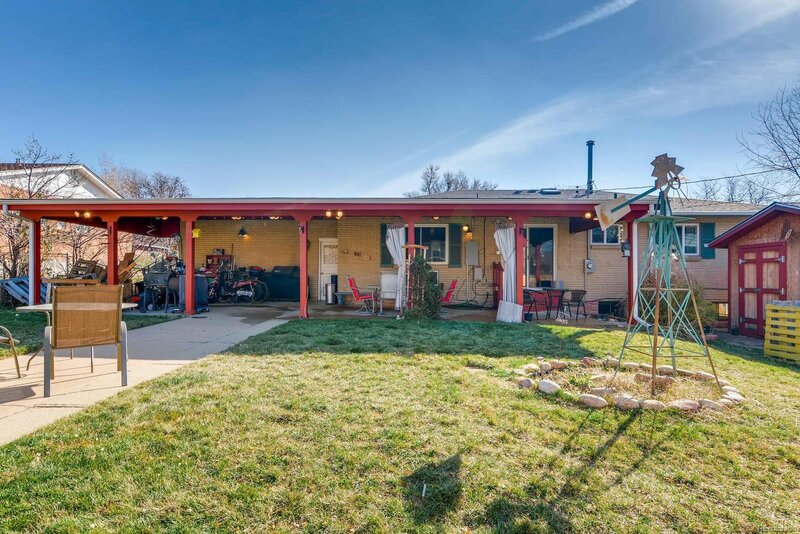 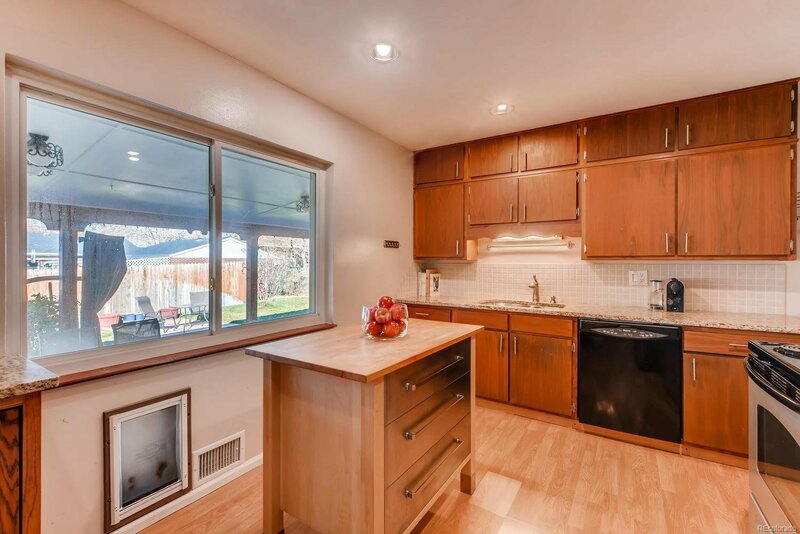 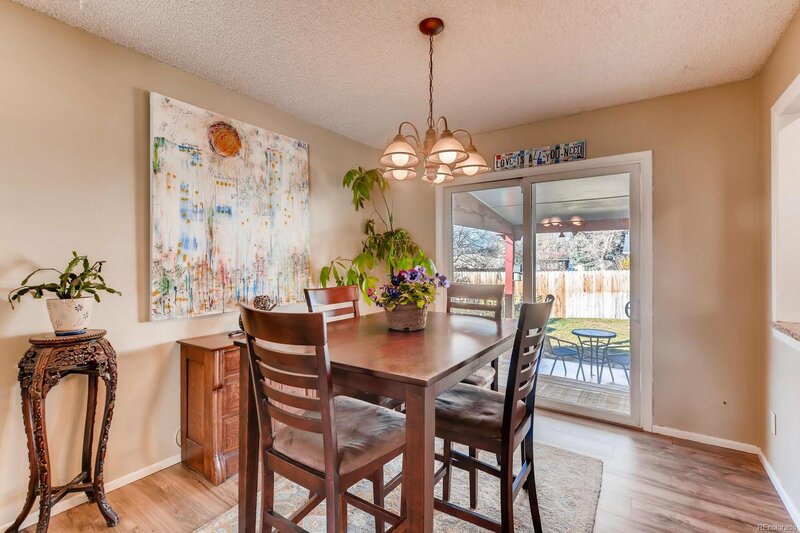 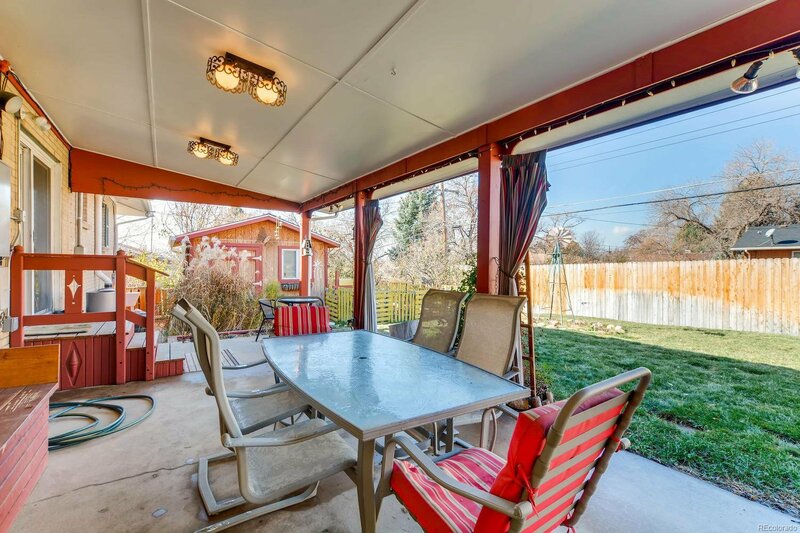 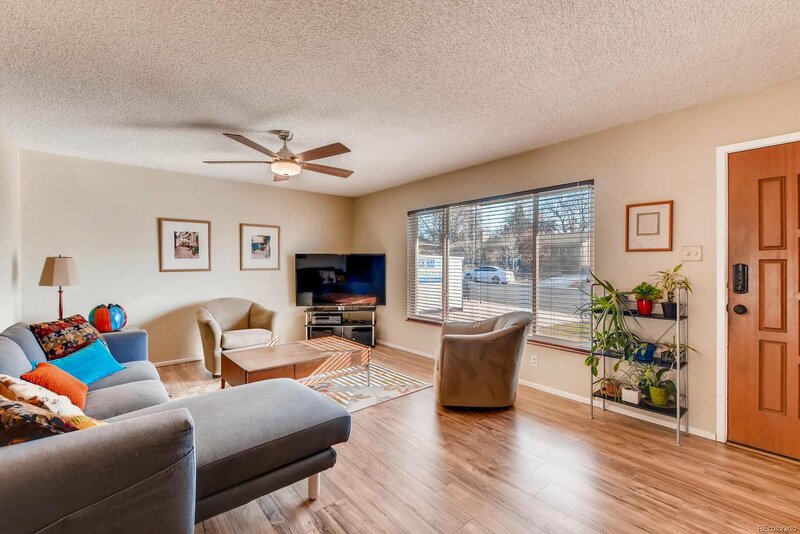 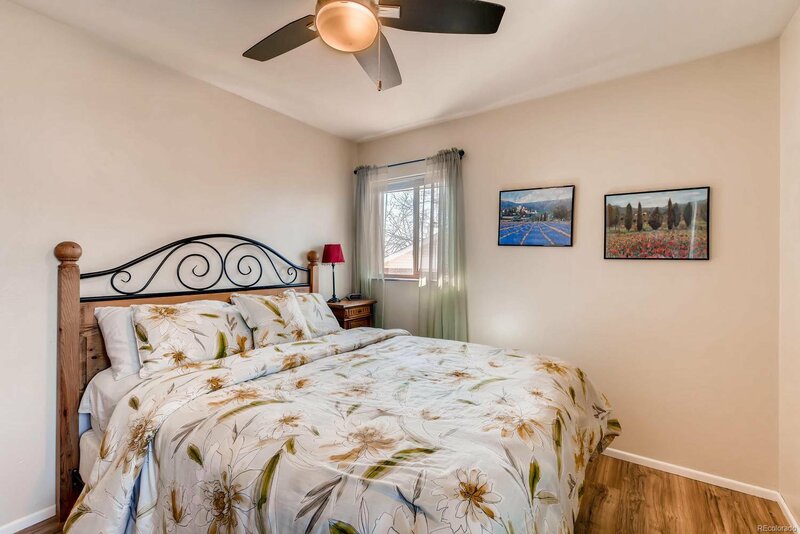 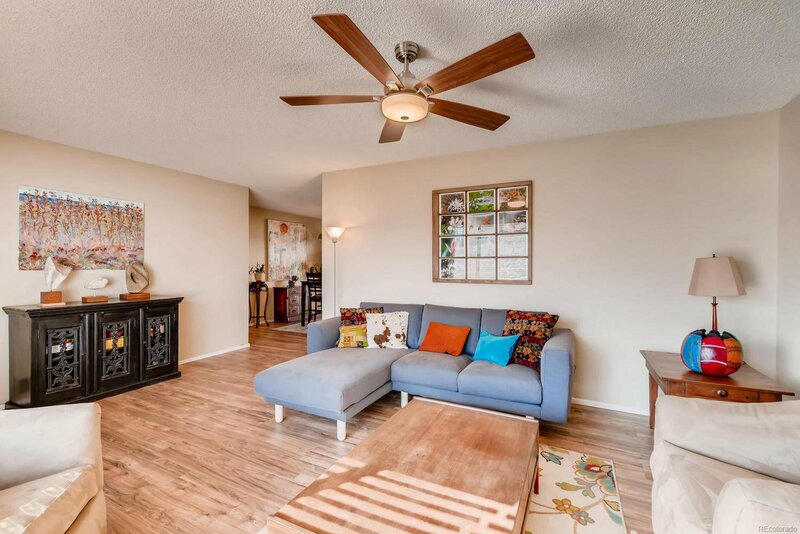 The backyard is a dream with an enormous covered patio for entertaining, fenced garden area, sprinkler system, plum trees and high quality shed with insulation and electric. 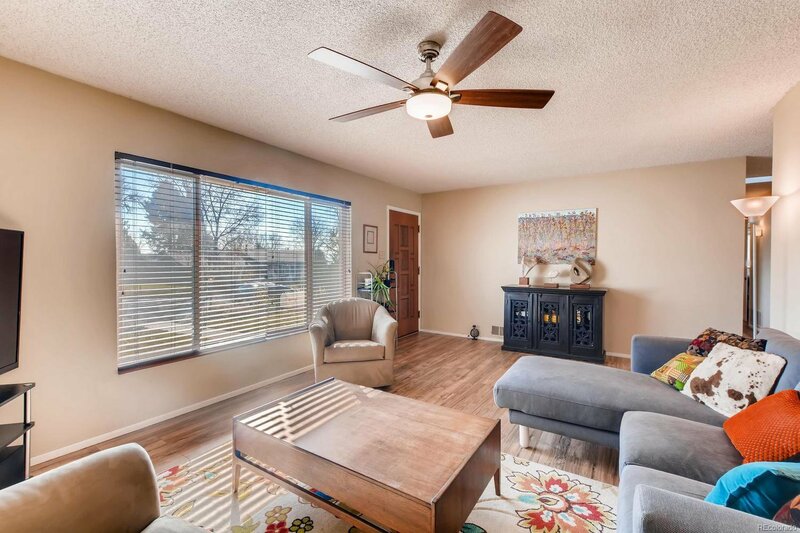 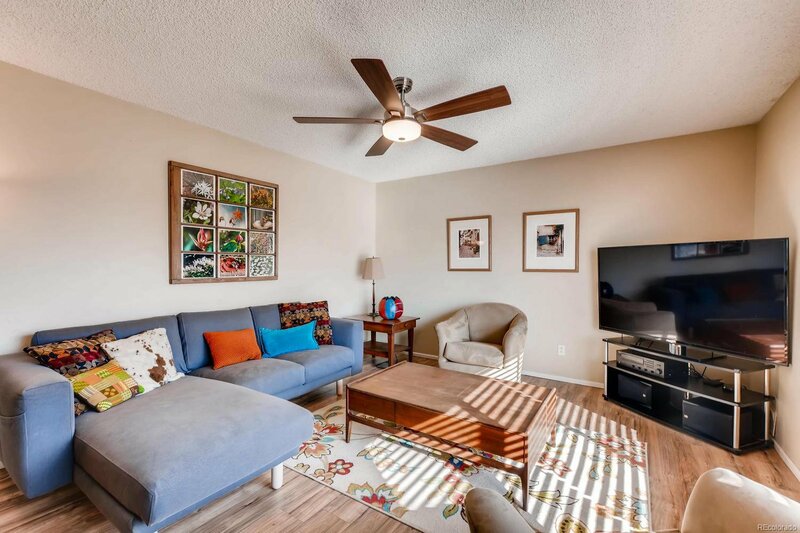 You will also enjoy the new vinyl windows, central a/c, 2 car garage and newer floors. 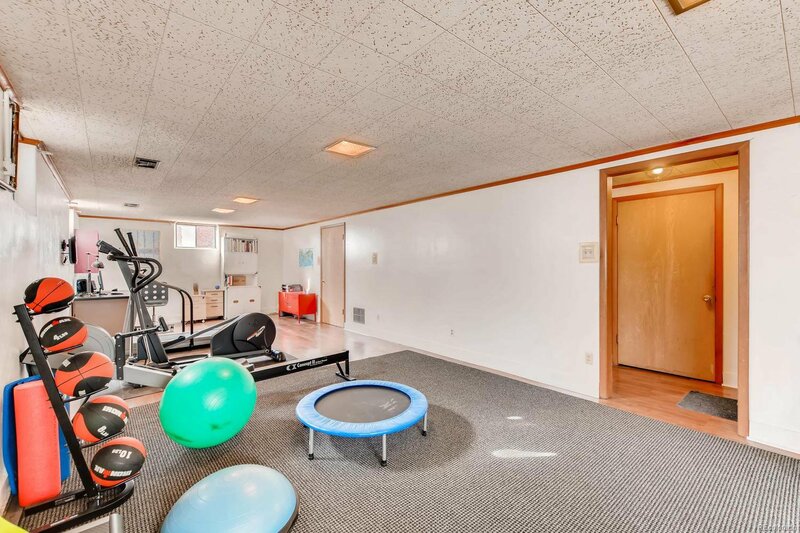 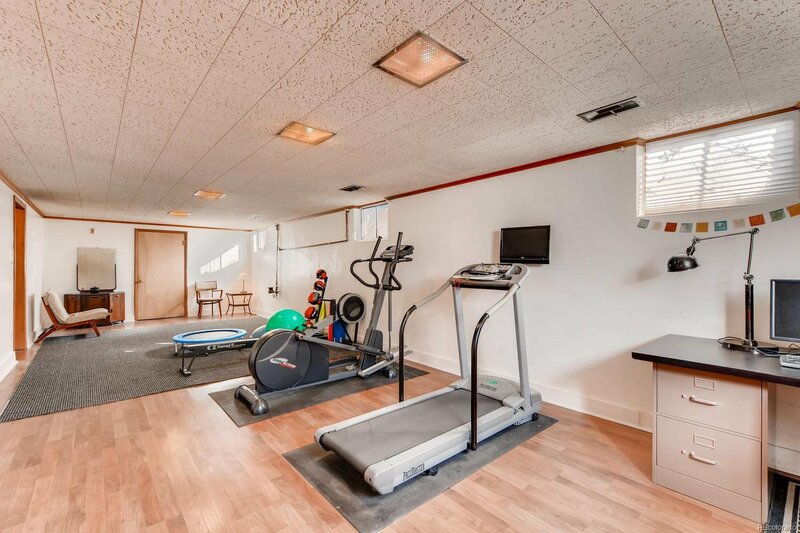 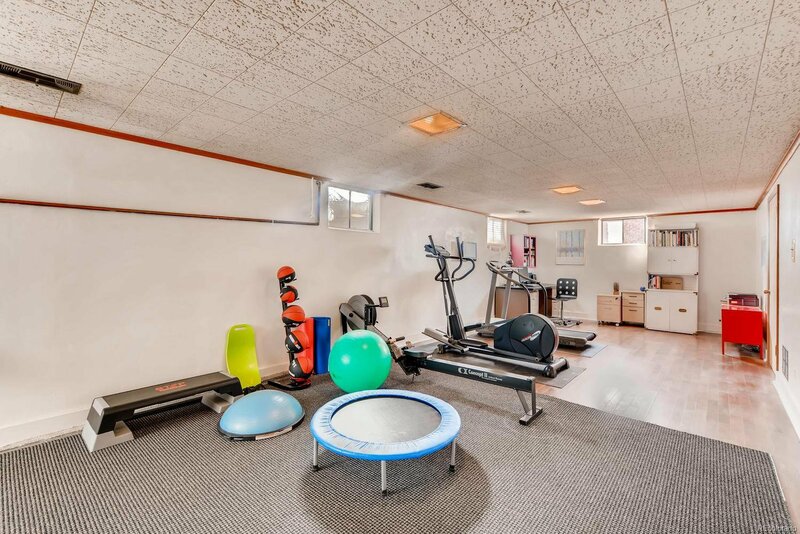 The finished basement has a large family room, non conforming bedroom/office, bathroom and lots of storage. 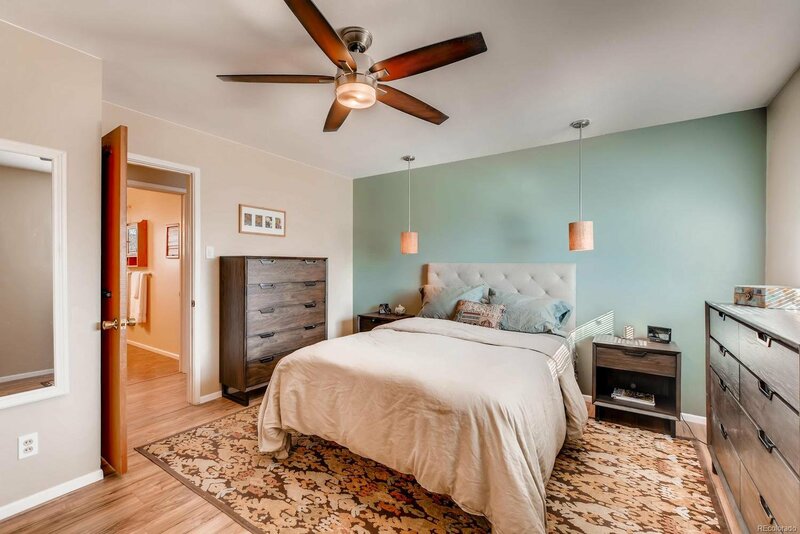 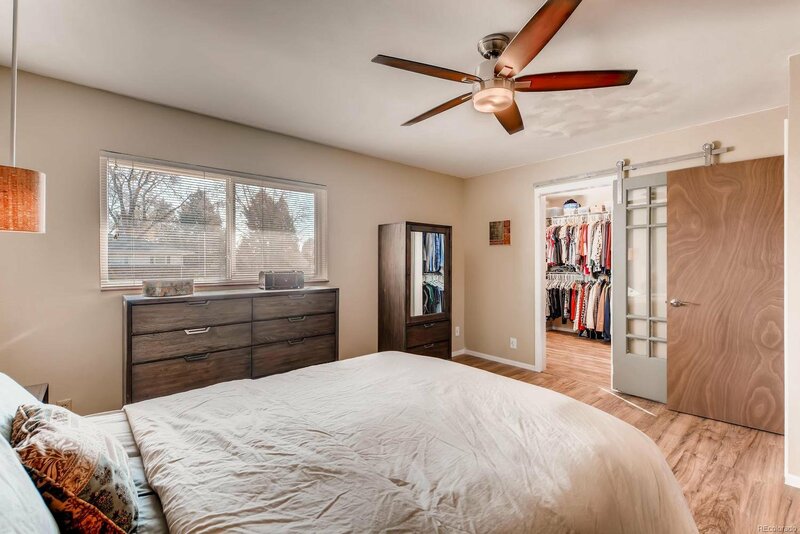 There is plenty of space to create a 4th bedroom if desired. 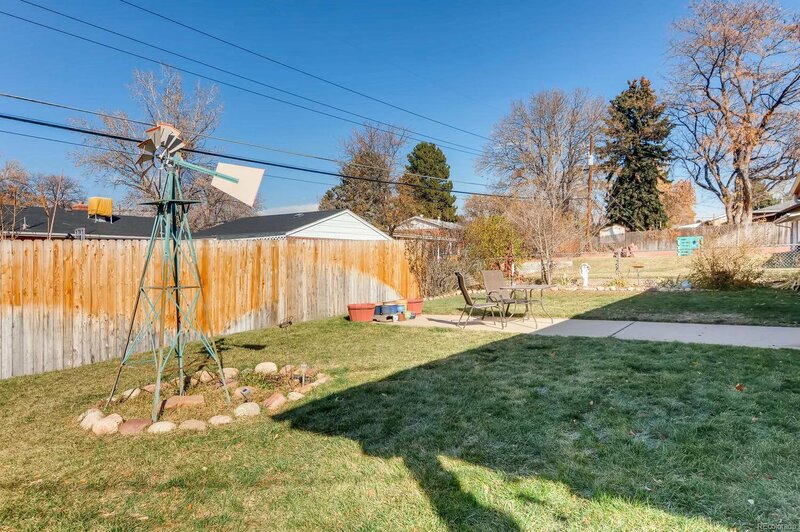 Easy access to the mountains and Denver! 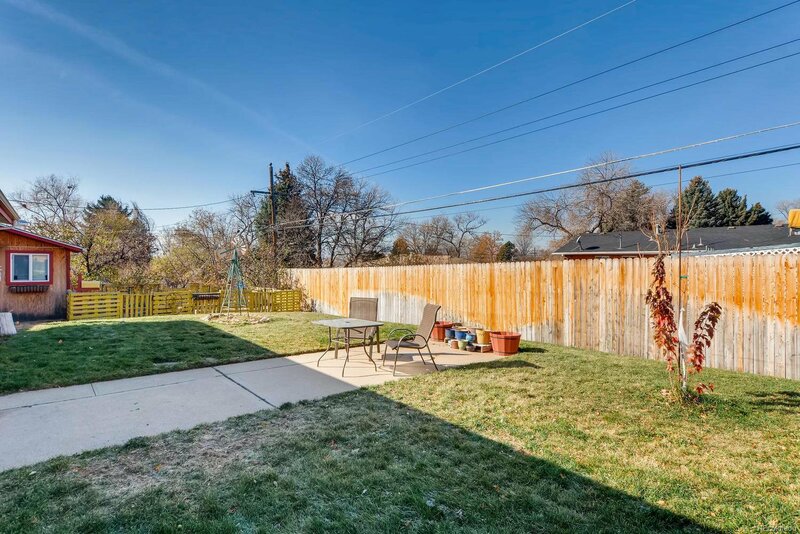 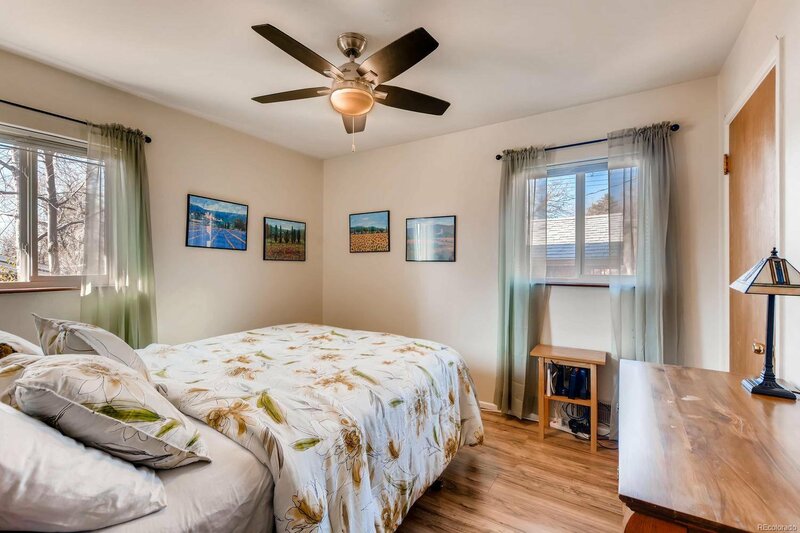 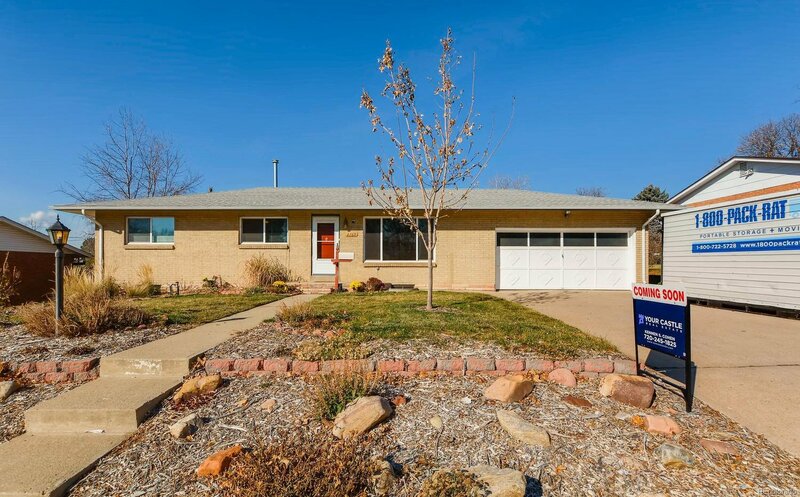 Close to parks, library and schools, near Bear Valley Shopping Center! 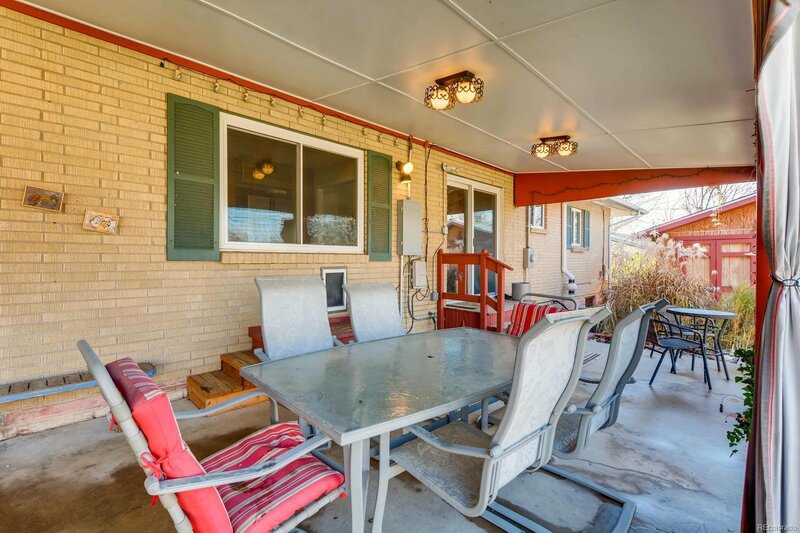 Selling Office: Porchlight Real Estate Group.